Cook your beans until they are tender (pour off liquid) and then puree in a blender or food processor with 1 cup of goat milk. Pour into a mixing bowl and add the contents of one large egg and mix with listed seasonings to taste. Bake in the oven at 350 for twenty to thirty minuets until custard like in consistency. Cool and garnish with fresh tomatoes, peppers, etc. and/or sour cream. Serve with your favorite party chips and enjoy. Preheat oven to 375 degrees F. Stir together the ingredients and mix until evenly coated with the melted butter. Place in shallow baking dish to about 1/2 inch thickness of ingredients. Place in preheated oven and bake for 15 minutes, stirring every five minutes. Allow to cool and serve with fresh cold goats' milk. Enjoy with fresh strawberries, bananas, or other fruit. Or mix it into your yogurt for a healthy snack. Cook the sausage in a sauce pan on the stove top on medium. Then stir in the 4 Tbs of flour and season to taste with black pepper. Next slowly add the milk stirring as you do. Stir and continue cooking on medium until the gravy thickens. Serve hot over Kefir-Baking Soda Biscuits. Beat the eggs lightly in a mixing bowl and then add the milk.Blend together and then add Motzo meal, potato flakes, salt, and onion powder. Mix together. Allow to rest for 5 to 10 minutes. Melt 1 tsp of butter or margarine in a pan on the stove top. Place mixture by Tbs. in the hot pan and cook until golden and then turn the cakes cooking until golden. 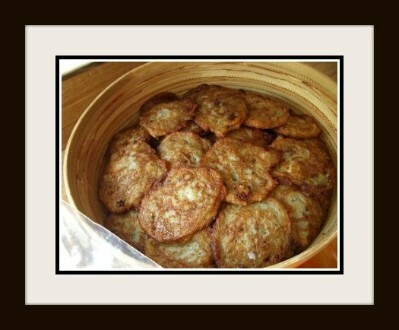 Serve with eggs, apple sauce, and orange juice for a yummy breakfast treat. Makes about 20 latkes. The following recipes are courtesy of Allena Jackson. 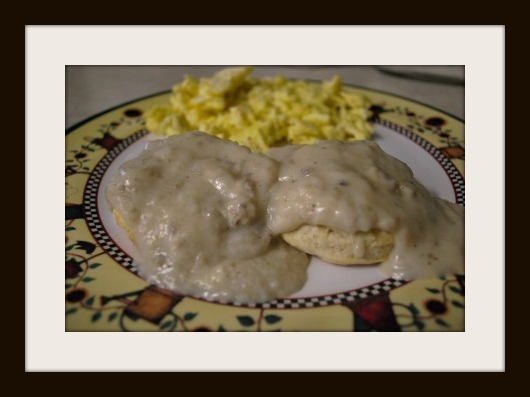 Visit her web-site at: www.thethreeringranch.com for more t asty dishes. Or leave the chicken out sometimes, or substitute with sauteed shrimp. Sautee the shrimp in some olive oil/butter and add some garlic, dill, rosemary and thyme. 6 cups fresh milk, I love my goats, that milk makes the BEST cream sauces. Saute the onions in a bit of butter or olive oil until translucent and set aside. Saute the mushrooms as well, adding a small amount of garlic, salt, and a splash of white wine as they cook, set them aside with the onions. Saute the chicken well, sprinkle with dill and set aside. Now melt 1/2 cup butter or use olive oil or a combination of the two in the skillet/pan. add flour a bit at a time and brown well for 3 - 5 minutes. Place in a clean sauce pan and start adding milk while whisking very well to prevent lumps. Add the cream and chicken and simmer for 20 minutes. Add the rest of the ingredients and simmer a few more minutes then serve with fresh bread. Cook one package of wild rice according to the instructions, except use broth or add one bullion cube for each cup of water you use. Now while that is cooking (will take about 45 min) take a pound or so of cremini mushrooms, or whites any kind with a cap. Remove the stem and hollow out each cap you want to use for stuffed mushrooms. I usually make at least 4 per person. Set the caps aside in a baking dish and dot them with a bit of soft butter and a sprinkle of salt. Finely chop the stems and chop some fresh dill, fresh tyme and a bit of fresh rosemary. Finely mince garlic cloves to taste, I usually do 4 or more but I love lots of garlic. Saute all this in some butter/olive oil, add some salt to taste/pepper. Your rice should be about done, set this all aside and when the rice is done, add it to the mushroom mixture and saute. Add some finely chopped almonds or pecans. Be generous I would use a full cup for a whole package of rice. Throw a half a cup or so of wine in and cook down, stirring regularly. Fresh Pumpkin Pie Filling. (2 deep dish pies worth.) Folks it really makes a BIG difference...Two small to medium pumpkins, look for pie pumpkins, these are small, usually only 8 - 10 inches in diameter. They tend to have a darker orange skin, and a sweeter, smoother flesh. Wash the outside, and clean the pumpkins, by halving and scooping out all the seeds and gooky stuff. Cut the rest into slices several inches thick, such as how one cuts cantaloupe. Place these slices in a big pan of boiling water/ or on a steamer insert. You can also use a vegetable steamer. Put a small amount of water in a second pan, and set it nearby. If you have a very large pan, you can just halve the pumpkins, and steam them that way. Then you can scrape the goodies out with a large spoon or ice cream scoop. Once all your pumpkin has been steamed and it is all nice and squishy, drain off most of the water and puree enough to make 4 cups of pumpkin puree. It can also be mashed up well with a potato masher, then beaten with a mixer. Any pumpkin cubes left, can be enjoyed topped with butter, and a little salt...mmmm it's so good. It's also good with butter and sprinkled with brown sugar, agave necter or honey and cinnamon. Now we combine, in a bowl, 4 cups pumpkin puree, 18 ounces of fresh goat milk, 6 eggs, 1 cup brown sugar, don't use white, it isn't nearly as good! 3 Tablespoon of molasses, 1 1/4 tea cloves, 1 1/2tea cinnamon, 2 tea ginger, 1 tea allspice and 2 tablespoons flour (to thicken). You can add a bit of orange food color if you don't like the natural brown color of the pie. You could also used canned pumpkin, use a bit more milk. 2. Add rice, bring to boil, lower heat to simmer; stir mixture every 10 minutes. Cook uncovered until rice is tender, about 20 minutes. 4. Spoon 1 cup of rice mixture into egg mixture and stir. Pour egg-rice mixture into remaining rice, and add additional goat milk if not saucy enough. 6. Heat pudding until it boils, stirring continuously. Remove from heat, and sprinkle with cinnamon. Crumble up some bread in a baking dish. Add sweetener of choice to taste. 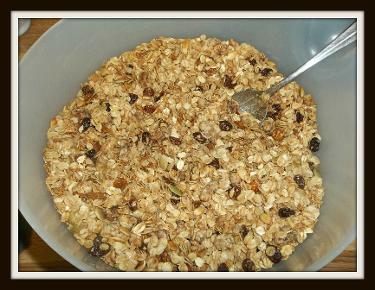 Pour over bread and add dried fruit and nuts. Some suggestions, traditional raisins, or get creative and do diced dried apricots and dried cranberries, or dried peaches and dried raspberries. Apples and bananas are also good, and blueberries are awesome. I will often throw some slivered almonds, sunflower seeds or pecans on there as well. coconut also adds interest and some texture because it will get all toasty if you put it on top. Bake at 350 until a knife inserted comes back clean. Basic pancake recipe makes about 8 large pancakes - make them all they reheat beautifuly. 3 c bisquick (you can make a whole grain version for better nutrition) 1 cup flour, 1.5 tea baking powder 1 1/4 c olive or canola oil. mix the dry ingredients, then blend the oil in you can make as much or as little as you want, also specialty flours like almond flour are really good in this! blend and fry each one in about 1 tea oil so the edges are crisp. I can eat these plain they taste so yummy! Very good topped with raw honey, or agave necter. Hope you enjoy the good goat milk recipes!!! These are my favorites, and they are on the whole pretty nutritious too. Everyone here loves each and every one of these recipes and I have picky pants let me tell you.